Rob has 16 years of experience in the healthcare information technology sector. After working at McKesson and Microsoft (Health and Life Sciences) in increasing roles of responsibility. Rob has been an active member of the Georgia Chapter of HIMSS for 10 years – including former President of the Chapter and Annual Conference Chair. Rob has a BBA in International Business from the University of Georgia and a MA in Political Economy from the University of Munich (Ludwig Maximilian University) in Munich, Germany. Chris Beasley serves as the Chief Information Officer and HIPAA Security Officer at Houston Healthcare where he oversees Information Technology, Information Security, and Biomedical Services. He has more than 20 years’ progressive experience working in Healthcare IT. Chris received his BBA in MIS and MBA at Georgia College & State University. He holds a number of industry certifications in IT leadership, project management, and technology. Chris is a member of several professional organizations including the Healthcare Information and Management Systems Society, College of Healthcare Information Management Executives, American College of Healthcare Executives, Medical Group Management Association, and Project Management Institute. 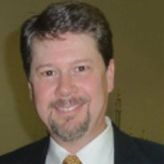 Chris serves as a board member with Robins Regional Chamber, Velocity Healthcare Collaborative, Georgia College & State University IT Advisory Board, and Middle Georgia State University IT Advisory Board. Justin is a corporate, board and public policy advisor. 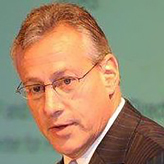 In addition, he’s Chairman Emeritus of the HIMSS EHR Association and Co-Founder of the Health Innovation Think Tank where he assists these organizations with industry strategy, collaboration and leadership. Mr. Barnes is also the host of healthcare’s most popular weekly syndicated radio show “This Just In” that airs on Healthcare Radio and Business Radio X. He’s also the voice of HIMSS Radio. Barnes previously was a member of the Leadership and Growth teams at Greenway Health where he worked for 11 years primarily serving as Vice President of Marketing, Corporate Development, Business Development, Government Relations and International Affairs. In addition, Barnes was a member of the founding team and Vice President of Sales and Account Management of the patient-provider communications and engagement company, Healinx Corporation. Today, Healinx is known as the RelayHealth Division of McKesson. Before joining Healinx, Barnes held several national Sales positions with HBO & Company that subsequently merged with McKesson in 1999. Justin has formally addressed and/or testified before Congress as well as the last three Presidential Administrations on more than twenty occasions with statements relating to alternative payment & care delivery models, MACRA, value-based medicine, revenue cycle management, interoperability, EHR meaningful use, consumerism, health IT innovation, health information exchange, patient engagement, quality, HIPAA and the globalization of healthcare. Barnes is a regular public speaker on these issues and has appeared in more than 2,000 journals, magazines and broadcast media outlets relating to national leadership of healthcare and health IT. In addition, Barnes has advised several U.S. Presidential campaigns on healthcare public policy, health information exchange, health IT and EHRs. Barnes majored in Legal Studies and holds a BA & BS from the University of Massachusetts at Amherst. He holds a Certificate of Diagnostics from Emory’s School of Medicine and is also a HIMSS Fellow. Justin proudly served Rotary International as a Board Member and Chairman of Public Relations for the Amherst Rotary Club. He’s also a veteran, having served in the United States Army within Infantry (11B) & Communication (31M) Units. Bird Blitch is the Chief Executive Officer (CEO) of Patientco, a cloud-based payments company that is helping health systems rethink the patient billing and payment experience to deliver happier patients and more payments. Since its launch in 2010, Patientco has served over 12 million unique patients and processed over $1 billion in patient payments on behalf of its health system clients. Patientco was named a ‘Backed By ATL’ company by the Metro Atlanta Chamber in 2018, recognized as one of the Fastest Growing Private Healthcare Companies in the United States by INC Magazine in 2014 and 2015, and won Fierce Healthcare’s Revenue Cycle Innovation Award in 2013. Previously, Bird co-founded BroadSource where, as CEO, he built a technology platform for Telecom Expense Management (TEM) and Mobile Device Management (MDM). During his tenure with BroadSource, he was instrumental in transforming the venture-funded company to one of the leading Telecom Expense Management companies in the United States. Bird has served as the chair for the HIMSS Revenue Cycle Improvement Task Force, as well as an Advisory Board member of the Advanced Technology Development Center (ATDC), a start-up accelerator that helps technology entrepreneurs launch and build successful companies. A graduate of Georgia Tech, Bird is the recipient of the Georgia Tech 2010 Outstanding Young Alumnus/Alumna award and is a member of the Council of Outstanding Young Engineering Alumni. Russell P. Branzell is the CEO and President of the College of Healthcare Information Management Executives (CHIME) and its affiliate associations, the Association for Executives in Healthcare Information Security (AEHIS), the Association for Executives in Healthcare Information Technology (AEHIT) and the Association for Executives in Healthcare Information Applications (AEHIA). 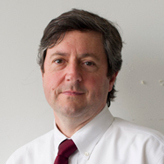 In addition to his position at CHIME, he serves on the faculty at Columbia University, where he teaches executive classes in health information technology. He also is a member of the Board of Overseers of the Malcolm Baldrige National Quality Award, a position that was appointed by the Secretary of Commerce. Mr. Branzell joined CHIME as President and CEO in April 2013 after being an active member for 15 years. He served on the CHIME Board of Trustees from 2004-2008, as chair of the CHIME Education Committee from 2004-2008 and as chair of the CHIME Education Foundation. He is currently a member of the CHIME Healthcare CIO Boot Camp. 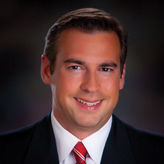 Prior to taking his position at CHIME, he was the CEO at the Colorado Health Medical Group; Vice President of Information Services and CIO for Poudre Valley Health System; President/CEO of Innovation Enterprises (PVHS’ for-profit IS entity); and Regional Deputy CIO and Executive Director of Information Services for Sisters of Mercy Health System in St. Louis, Mo. He served on active duty in the United States Air Force and retired from the Air Force Reserves in 2008. While on active duty, he held numerous healthcare administration positions, including CIO for the Air Mobility Command Surgeon General’s Office. A native of San Antonio, Mr. Branzell earned an undergraduate degree in business administration, specializing in human resource management and labor relations from the University of Texas. In addition, he earned a master’s degree in Aerospace Science from Embry-Riddle University with an emphasis in management. 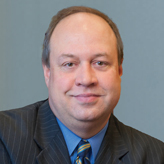 Vice President/Chief Information Officer – Jeff Buda joined Floyd Medical Center in July, 2012. As CIO, Mr. Buda leads the Information Technology strategy and service delivery for Floyd Medical Center, Polk Medical Center and all other Floyd affiliates to include Project Management, Network/Telecommunications, IT Operations and Information Security. Prior to 2012 he served as Executive Director of Business Applications for the WellStar Health System in Marietta and Vice President of System Initiatives and Chief Information Officer for Mercy Health System/Catholic Health East in Conshohocken, Penn. He has also held roles with a major consulting firm and an information technology software vendor. Mr. Buda earned his Bachelor of Arts degree in business economics from the University of California, Santa Barbara. 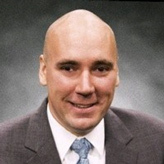 Geoff Brown is VP & CIO at Piedmont Healthcare. He has over 35 consecutive years of progressive experience in Information Technology (IT), management, consulting and strategic planning. Brown is in the unique position of having work experience as CIO in public, for profit and not-for-profit healthcare organizations. He is well known for delivering real results through improved utilization of technology and people. 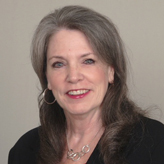 Dee Cantrell has 24 years in health information technology leadership. She has extensive experience in strategy and operations, project planning and execution, workflow optimization and process improvement. Ms. Cantrell spent 22 years at Emory Healthcare and retired after serving 16 years as their CIO. She has received numerous awards and recognition for her leadership and innovation, including being named the Georgia CIO of the Year twice. Additionally, Dee was recognized as one of the top 50 US Health IT Leaders by Becker’s Healthcare Journal, served in a key leadership role for the strategic plan of the statewide HIE for Georgia, was the past President of GA HIMSS and currently on the board and Chair of the GA HIMSS Annual Conference. Ann Chandler is the Scheduling and Pre-Authorization Manager at Gwinnett Medical Center, where Ann is responsible for the processes to financially clear scheduled patients from scheduling to the admission process. Ann is a graduate of Georgia State University. She has over thirty years in the healthcare industry. Prior positions include, Patient Access Director, Regional Patient Access Director, PFS Director, Medicaid eligibility and Consulting. As a consultant, Ann has established call centers, designed training programs, redesigned Patient Access processes and determined denial root causes. Ann enjoys a challenging, non-boring, rewarding position. She likes to say healthcare is the perfect fit for her. 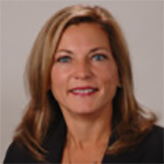 Angie Connatser joined RMB in 2001 with over 20 years of experience in the healthcare collection industry. Angie is Director of Client Relations which includes the management of the Compliance and Client Service departments. Her primary focus at RMB is developing and maintaining partner relationships with clients. She was previously the Manager of Business Development at RMB prior to taking on her role as Director of Client Relations in 2009. Angie received her B.A. from the University of Tennessee. Matt Crawley joined Apex in May of 2017, bringing over 20 years of focused experience in patient financial engagement and revenue cycle management. During his career in the health care industry, he has worked for companies such as Shared Medical Systems (Siemens), Change Healthcare, and Experian Health. Matt holds a degree in Psychology from BYU. Matt resides in Salt Lake City, Utah, with his wife and 5 children. He enjoys spending time in the mountains biking, climbing, and camping with friends and family. Christian is the VP of Technology for Seal Shield LLC, an infection control company. He is responsible for many aspects of technology both within and outside of the organization. Responsibilities include the vision and strategy of various technologies to support the mission of the organization, “preventing infections and saving lives,” and the internal systems that allow an organization to develop, manufacture, and distribute infection control products globally. In 2014, he developed and commercialized a NASA based air purification system for healthcare. In a pilot study, the technology was successful in removing 67% and 100% of viable bacteria in the air of central processing and surgical OR. Christian received his B.S. in Computer Science and Electrical Engineering from the Florida State University. Serving as Chief Information Officer to Resurgens Orthopaedics, Bradley’s role involves strategic planning, budget and staff management, overseeing project implementation and ongoing support of the network, desktops and business applications. 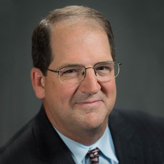 With almost 2 decades of experience in the field of information technology, Bradley has served as director at large to several advisory boards including Georgia Himss, the Georgia CIO Leadership Council, TAG Cloud Board and is one of the founding member of AT&T’s Healthcare Advisory Committee. He has been a guest speaker and blogger for Intel, Microsoft, Allscripts and Greenway Medical on topics relating to Healthcare IT, Security, and mobile point of care solutions. With an enthusiasm described as intoxicating, Bradley brings a fresh innovative perspective to Healthcare IT where “not knowing what can’t be done” is more than just a quote from Henry Ford, it is a way of life. When Bradley is not working he spends his time with his wife Kimberly, two children Caleb and Zoe and his ridgeback Griffin. Caleb his oldest son was diagnoised with Autism Spectrum disorder and has become both his greatest challenge and motivation. Caleb like most children with ASD suffer from a number of challenges that others take for granted and through the tireless work of Kimberly and Bradley they have become advocates not just for Caleb but all children on the spectrum in Georgia and across the country. Kimberly who left a carrear in real esatate to voluteer for non-profit Autisim Speaks has turned a part time volunteer poistion into being named the Executive Director of GA/TN for Autims Speaks. An avid athelete you will find him most luches either running on the treadmill or lifting weights in the gym at his office. The place where he does his best thinking is on his road bike where he rides 2,500-3000 miles a year including round trip rides to Alabama and back with training partners. This love of cyling has has progressed into triathalons where he has complete two 70.3 Ironman races and has a third in December. Six short years ago this would have seemed impossible as Bradley learned first hand what it was like to be a patient in healthcare when while running at lunch he fractured his tibia due to an un diagnosed stress fracture in his left leg. The Resurgens surgeon who preformed the surgery told him that he probably would not be able to run again do to the titanium rod that was needed to fix the severe break. This only proved to motivate him and through seeral months of physical therapy he was able to run a 5k in Maryland for Autism Speaks and just 5 months later completed his first half marathon 5 months after that. The motivation from overcoming adversity became the driver behind the creation of the Georgia Autism Speaks 5k which has rasied more than $325k to date in just 6 years. With a PhD in industrial engineering, Dr. Paula Edwards focuses on the use of information and information technology to improve quality, safety, efficiency, and value in healthcare. She has twenty years of experience in design and implementation of technology-driven solutions to improve operations in various industries, including healthcare. Dr. Edwards has led or participated in numerous engagements in analytics/business intelligence, data governance, strategic planning, health information exchange, workflow redesign, clinical & business outcome evaluation, vendor selections, and usability evaluations. She has presented at numerous industry conferences and is co-author on 20+ peer-reviewed publications. Mr. Gatewood is Chief Information Security Officer for the state of Georgia. He leads GTA’s Office of Information Security, which unifies information security responsibilities for the state’s IT enterprise, the Georgia Enterprise Technology Services program, and GTA. He has more than 33 years of experience in cyber security programs for the U.S. military, state and federal governments, higher education, and global corporations. Prior to joining GTA, Mr. Gatewood served as Director of Cyber Workforce Development for Dell Secureworks. He was also Chief Information Security Officer for the University of Georgia, Interim Vice President for Information Technology and Chief Information Officer for Albany State University, and Chief Information Security Officer for the Board of Regents of the University System of Georgia. Mr. Gatewood is a distinguished fellow at the Ponemon Institute, the widely known research center dedicated to privacy, data protection, and information security policy. 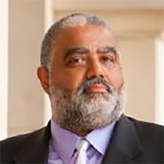 He has also received numerous honors for his work in the field of information security, served as an active member of several professional associations, and published articles on information security. 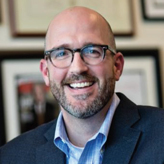 Matt Gove is Chief Consumer Officer for Atlanta-based Piedmont Healthcare, where he oversees marketing, patient/consumer experience, communications, community benefit and government relations for the 11-hospital system. As Piedmont’s Chief Consumer Officer, Matt shapes the system’s approach to healthcare consumerism, working closely with physician practices, retail clinics and hospitals to provide a better understanding of Piedmont’s customers, how to better meet their needs around access and experience, and how the system can best use emerging technologies to engage consumers. Under Matt’s leadership, the Piedmont team has won more than 50 local and national marketing awards since 2013, and he has been individually recognized as AMA/Atlanta Corporate Marketer of the Year and American Business Awards Marketing Executive of the Year. Prior to joining Piedmont, Matt was a core member of the executive team that engineered an $80 million operational turnaround and raised more than $300 million for capital improvements at Grady Health System, helping revive the critical safety net institution. As Grady’s Senior Vice President of Marketing and External Affairs, he helped reposition the Atlanta institution, establishing a new look and feel and reconnecting Grady to business, media and community stakeholders. A commercial real estate refugee, Matt earlier served as Senior Vice President of Marketing and Communications with Atlanta’s Cousins Properties, a national publicly traded real estate developer. Earlier in his career, he launched a monthly commercial real estate magazine, covered the real estate industry for Atlanta Business Chronicle and covered health care for the Virgin Islands Daily News. Matt holds a Bachelor’s degree in Psychology from Georgia State University and served on the university’s Marketing Roundtable. 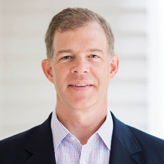 Matt’s civic commitments include serving on the boards of Zoo Atlanta and the Trust for Public Land, and he is also active with healthcare technology startups in Atlanta and nationally. Matt and his wife Brittney have two children, Eleanor and Lex, and live in Atlanta’s historic Grant Park neighborhood. Dr. Mary Gregg is currently the Enterprise Medical Director at CareSource of Georgia. She is the President and CEO of Gregg Healthcare Consulting, LLC focusing on risk management, patient safety, and quality improvement. In addition, she is on the Board of Examiners for the Baldrige Foundation, participating in examiner reviews and on site visits of top healthcare organizations in the US. She has held multiple administrative roles including the CMO and founder of the Patient Safety Institute of a medical liability company based in the Southeast. In that role, she was responsible for developing, implementing and communicating patient safety initiatives. She redesigned the closed claims database, created an online risk assessment tool with a new website, developed a new open claims database, and joined the National Patient Safety Foundation Corporate Alliance. 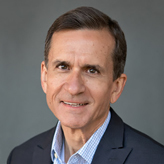 Prior to moving to Atlanta, Dr. Gregg practiced heart surgery in Seattle, WA for 20 years and then obtained an MHA degree at the University of Washington. She held executive leadership positions for over ten years as Vice President of Quality and Patient Safety and VPMA at Swedish Health Services of Seattle. In her role of oversight of quality and safety at Swedish, her team received numerous awards from Qualis Health, a CMS initiative, the Washington State Hospital Association, and the Institute for Healthcare Improvement (IHI). In addition, Dr. Gregg was instrumental in attaining the Leapfrog Safety top hospital award for three consecutive years. Dr. Gregg’s medical training includes Washington University of St. Louis Medical School, a General Surgery residency at Yale-New Haven Hospital and a Cardiothoracic Surgery fellowship at Barnes Hospital in St. Louis. Mr. Hall practiced as a Physical Therapist for 10 years in the hospital and outpatient setting before assuming operational management and leadership as Regional VP of a national physical therapy provider, supporting teammates in 150 clinics in 10 states. Mr. Hall is a graduate of Georgia State University and Boston University with degrees in Physical Therapy. Mr. Hall’s passion for learning, love of a challenge, and desire to be a change agent brought him to join HIPnation in 2016. He is responsible for building the operational processes and developing the team in order to provide this innovative healthcare delivery system, which promotes better healthcare while drastically reducing overall costs for both individuals and businesses. He is blessed to be married to Kelly and is the Dad of two amazing kids, Caleb and Cameron. With over three decades of experience meeting the technology needs of healthcare provider and payer organizations, his various leadership positions have included solution & program management, project and marketing management, systems engineering and business development. Through his extensive market experience and strong acumen to identify user needs and business processes and translate those needs into technology solutions, he has been directly responsible for numerous innovations spanning the continuum of care. His career spans across several start-up healthcare technology and services companies and with large healthcare IT organizations, encompassing the acute and ambulatory provider markets and the commercial and government health plan markets. 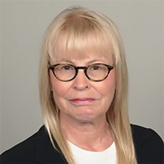 Liz Hansen is an industry consultant, with over 30 years of experience in Information Technology within the ambulatory and acute Healthcare settings. 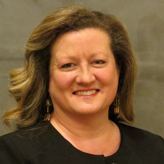 A recognized expert in MACRA and Meaningful Use assessment, project management and attainment, she serves as a HIT Specialist and Senior Advisor to the Georgia Health Information Technology Extension Center (GA-HITEC). Ms. Hansen has assisted over 500 local providers in their successful efforts to achieve Meaningful Use. 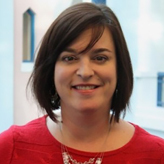 She also serves as the Director of the ONC Federal Grant for “Expanding Interoperability within South Carolina and the Southeast,” and is a member of the Southeast Regional Collaboration for HIT/HIE (SERCH). Ms. Hansen provides Small, Underserved and Rural Support (SURS) practices with assistance in their efforts to succeed under the Quality Payment Program (QPP) and conducts practice assessments in support of the “Transforming Clinical Practice Initiative” (TCPI). She is the organizer and moderator of the statewide GA-HIMSS Community of Practice for HIE, Interoperability, MACRA and Meaningful Use. Liz holds certifications in Patient Centered Medical Home (PCMH CCE), Meaningful Use (CMUP) and HIPAA Compliance (CHSP, CHSP). Monique Hart is a seasoned Information Risk and Security Professional with practical work experience in Information Risk Management, IT Policy and Governance, Vulnerability Management, and Incident Response across a variety of verticals such as: Media and Entertainment, Product Management, Consulting, Corporate IT Risk Governance & Compliance, and Healthcare. She is currently the CISO and Executive Director of Information Security for Piedmont Healthcare. In this role, she is responsible for overseeing the management of material risk of electronic Health Care information and content as it pertains to Piedmont Healthcare’s business, employee, and patient information. Previously, Monique led both the Cyber Security and GRC teams for Children’s Healthcare of Atlanta where she was responsible for managing the assessment of, and incident response to, material risk of information and content. Part of her responsibilities included developing and implementing Information Security Policy Management, Risk Assurance, Vulnerability Management and Incident Response. 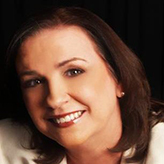 Prior to Children’s Healthcare of Atlanta, Monique held a leadership role with The Coca Cola Company where she was the Information Risk Manager for North America and Manager of Global Vulnerability Management for TCCC and CCBA. Earlier in her career she was the Manager of Information Risk Management for Turner Broadcasting and the divisional representative on the Time Warner IT Security Committee and Time Warner Privacy Counsel for Turner Broadcasting and CNN to help provide and develop a strategic focus in regards to Security Risk Management. Hart’s portfolio includes peer development, diversity improvement, IT Security control implementation and development, forensic analysis, and incident response. Barry S. Herrin, FAHIMA, FHIMSS, FACHE, ESQ. Barry Herrin is the Founder of Herrin Health Law, P.C., a boutique law practice dedicated to the needs of health care providers. He regularly assists health care providers in all segments of the industry on health care operations and compliance, medical information privacy and confidentiality, cybersecurity and data breach response, and the formation of provider collaborations for population health and managed care contracting. He is admitted to the bars of the District of Columbia, Florida, Georgia, and North Carolina. Mr. Herrin is a Fellow of the American College of Healthcare Executives, a Fellow of the American Health Information Management Association, and a Fellow of the Healthcare Information and Management Systems Society. He also holds a certificate in cybersecurity from Georgia Tech. Mr. Herrin is an Eagle Scout and is retired from the United States Air Force Auxiliary, in which he served as the Chief Judge Advocate for 6 years, at the rank of colonel. Dr. Hill is the author of Stop the Noise: A Physician’s Quest to Silence the Politics of Health Care Reform and other numerous articles promoting alternate delivery models. He has been interviewed on CNN and FOX News. Additionally, he participates on panels and think tanks with economists, actuaries and healthcare thought leaders, and speaks to business, political and civic groups. He co-founded and serves as President and Chief Medical Officer of HIPnation, an innovator in healthcare delivery that provides patient-centric, personalized healthcare solutions to individuals and businesses. 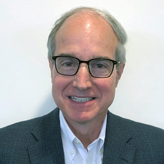 As Vice President of Clinical Systems, Glenn Hilburn brings a unique set of skills to the ever-more important integration of information technology and patient care. 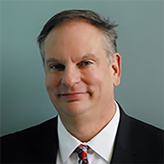 Glenn has practiced as a critical care registered nurse, an informaticist, and served in leadership roles for several healthcare software development f irms. With his strong knowledge of clinical processes, systems development and informatics, Glenn brings a most important perspective to the use of technology to enhance patient safety, improve care quality, and drive clinical innovation. Under Glenn’s leadership, Grady this year achieved the prestigious Stage 7 on the HIMSS Analytics Electronic Medical Record Adoption Model (EMRAM). Grady is Georgia’s only adult acute care hospital to earn the highest rating for improving patient care and safety through health information technology. Glenn Hilburn holds a Bachelor of Science degree in Nursing and a Master of Business Administration. He is an active member of the Health Information and Management Systems Society. 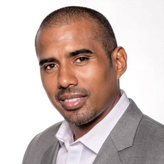 For the past 15 years, Amin Holmes has worked to help influence the landscape of the healthcare IT industry. Amin graduated with a Masters of Electrical Engineering from the Georgia Institute of Technology and also worked as an engineer at IBM’s Research Triangle Park location. 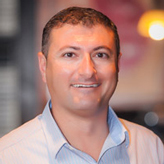 Amin has worked on a wide array of projects. He has provided technical leadership to clients ranging from small physician offices to large enterprise hospitals. Amin managed cost-effective, ROI-driven IT solutions for large organizations such U.S. Teleradiology, Emory Hospital, the City of Atlanta, St. Joseph’s Hospital, South Fulton Hospital and Spaulding Regional Hospital. 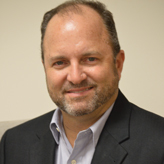 He has served on the GaHIMSS board for several years and was recently selected to be on a national HIMSS committee. In 2014, Amin co-founded SynsorMed Inc. to be on the cutting edge of IoMT innovation and value-based transformation in the industry. SynsorMed has partnered with Caire Medical to bring new insights to the home respiratory market for thousands of COPD patients. In addition to providing leadership to his startup company, Amin is also currently serving as the lead technical resource for the statewide health information network of Georgia. Brian Jack, MD, is Professor in the Department of Family Medicine at Boston University (BU) School of Medicine and Boston Medical Center. Dr. Jack graduated from the University of Massachusetts Medical School and completed his residency training at the Brown University. He completed a fellowship at the University of Washington. Dr. Jack came to BU in 1997 as the founding Vice Chair and later Chair of the Department of Family Medicine. He has authored over 150 peer-reviewed articles or book chapters, reviewed papers for major medical journals. He is currently PI on grants from HRSA, PCORI, AHRQ, Kellogg and NIMHD. His research team has developed the “ReEngineered Discharge” (Project RED), adapted by the National Quality Forum as a national “Safe Practice”. RED is being used in all states and in over 10 countries. He completed projects with AHRQ funding including “Reengineering the Hospital Discharge for Patient Safety” which provided an in-depth analysis of the hospital discharge process. RED was then tested in Testing the Re-Engineered Hospital Discharge a RCT funded by AHRQ in the “Partners in Patient Safety” grants. Dissemination and implementation of RED was explored in an Action RFTO entitled Avoiding Readmissions in Hospitals Serving Diverse patients. Building on a RO1 from NHLBI with colleague Tim Bickmore of Northeastern University, he developed a health IT system to deliver RED at the bedside (the “Louise” system). Dr. Jack completed an AHRQ funded project entitled “Virtual Patient Advocates to Reduce Ambulatory Drug Events” that adapted Louise to be used by patients online when they went home from the hospital designed to monitor medication adverse events related to the transition from the hospital to the ambulatory environment. He recently completed a project to design a tool kit describing the RED processes and studied the barriers to RED implementation. New projects include a RCT of a mental health intervention to reduce rehospitalizations for those with depressive symptoms (AHRQ R01, Blue Cross/Blue Shield Foundation) and an exploration of the causes of readmission from the patient perspective that focuses on mental health and the social determinants of care (PCORI). Dr. Jack received the 2008 CDC “Partner in Public Health Improvement” award for his work as leader of the CDC’s Select Panel on the Content of Preconception Care. He has completed work to design a preconception care HIT system (Gabby) to assist in the provision of this care (AHRQ, Kellogg) and completed a RCT of its impact (HRSA MCHB, NIMHD R01) and is now adapting this system to men. He received the 2013 Peter F. Drucker Award for Non-Profit Innovation, the “Patient Care Award for Excellence in Patent Education Innovation” award, the AHRQ “Patient Safety Investigator” award, and the “Best Research Paper of the Year” award of the Society of Teachers of Family Medicine. 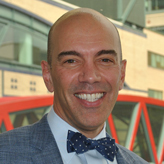 He was selected to HealthLeaders magazines annual “People Who Make Healthcare Better” list and one of Boston’s “Best Doctors” in each of 2010-2018. His Annals of Internal Medicine article describing RED is listed in the book “50 Studies Every Physician Should Know“. In 2013 he was elected to the National Academy of Medicine. Dr. Jack has also been active in the worldwide development of family medicine. He is Director of the Lesotho Boston Health Alliance, a Kellogg Foundation and Global Fund funded program that aims to improve the quality of district health services in Lesotho. He is a founding member of the AAFP’s Center for International Initiatives. He spent a sabbatical year in Budapest, Hungary in 1995 where he received a special citation from the mayor of Budapest. He taught in Jordan and Pakistan and has worked on the development of family medicine in Albania, Jordan, Romania, and Vietnam. Sandra Johnson, Vice President Revenue Cycle Management, Grady Health System. Sandra has worked in the Revenue Cycle field for 25+ years having responsibilities for all of the cycle at different periods in her career to include Patient Access Services, Medical Records, Case Management, Informatics, Managed Care, Uncompensated Care, PACS, Transplant Finance, and Patient Financial Services for both hospital and physician services. She is a fellow with the Healthcare Financial Management Association (HFMA) and the American College of Healthcare Executive (ACHE). She has a BS in Accounting from the College Of Great Falls in Great Falls Montana, a MBA from the University of Montana in Bozeman, Montana and a MSM in Healthcare Administration from Troy State University in Columbus, Georgia. 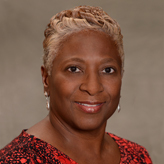 She is a Lean Six Sigma Black Belt and has served on the board of HFMA in Florida and Georgia, the board of United Way, the Volunteer Hospital Association and Baltimore Medical Services. 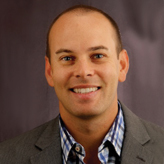 James Jose is CMIO/VP Business Intelligence for Children’s Healthcare of Atlanta. Dr Jose has served as CMIO since 2004 and is board certified in Clinical Informatics, Pediatric Critical Care Medicine, and Neonatology. His major interests include physician optimization, self-service reporting, and data re-identification risks. 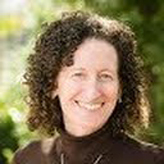 Dr. Meredith Josephs, MD, MPH, FAAFP is Vice President, Clinical Informatics at Privia Health where she leads the company’s clinical information technology strategic initiatives. Dr. Josephs manages a team with the key responsibility of optimization of the electronic health records platform for use by over 1600 providers across four markets. In addition, Dr. Josephs is leading company efforts to launch telehealth and clinical decision support initiatives. Before joining Privia Health in 2014, Dr. Josephs served as CMO at La Clinica del Pueblo, an FQHC in Washington, DC, where she also cared for patients since completion of residency training. Dr. Josephs is a graduate of the University of Maryland School of Medicine and the Franklin Square Family Medicine Residency Program. She is a fellow of the American Academy of Family Physicians and board certified in both Family Medicine and Clinical Informatics. 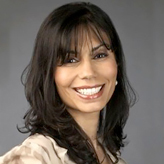 Dr. Josephs received her Masters in Public Health from the George Washington University and a Graduate Certificate in Biomedical Informatics from the Oregon Health & Science University. Atul Kanvinde is the Director, Clinical Application Systems at Children’s Healthcare of Atlanta. He currently leads the business partnering function for Children’s and oversees all aspects of the EHR and other clinical application support and optimization for all three hospitals of Children’s. Atul brings over twenty years of experience in delivering the best value from, and effective adoption of, information technology in healthcare and manufacturing. He is constantly looking for ways to make technology an enabler, and passionate about the human factor as an essential element for the successful use and implementation of technology. 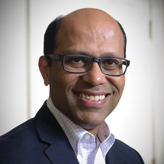 Prior to joining Children’s, Atul led a team of informaticists and analysts in a large Hospital and Health Plan system in West Michigan, after doing R&D and consulting for a leading ERP software vendor. Atul holds a Bachelor’s degree in Production Engineering, a Master’s in Industrial Engineering from Georgia Institute of Technology, and a Master’s in Business Administration from Western Michigan University. He is a certified healthcare CIO (CHCIO) of the College of Healthcare Information Management Executives (CHIME). 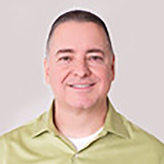 Brian has over 20 years experience connecting customers with benefit solutions that meet their needs. He has continued to develop his skills in locating the best benefit products and combining them into leading benefit solutions for his customers. Brian started HCS in 2010 to focus his expertise on delivering healthcare and other benefit solutions to Associations across America. Cynamin Kinard is a Revenue Cycle Integration Director at Piedmont Athens Hospital serving as the primary liaison between the corporate Revenue Cycle teams and Athens leadership, specifically the CFO. Her role provides strategic guidance and direction on key Entity Revenue Cycle-specific operational and financial decisions. Within the last 2 years, Cynamin joined Piedmont Healthcare in January 2017. 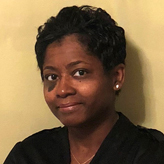 Prior to Piedmont, she was the PFS Director at Gwinnett Medical Center (GMC) in Lawrenceville, GA, where her scope included Patient Accounts, Customer Service, Imaging & Surgery Scheduling, Pre-authorization, Financial Counseling, and Revenue Cycle reporting and analytics. Prior to the PFS Director at GMC, Cynamin was the Patient Access Director for six years. She obtained her bachelor’s degree in Business Administration from Shorter College in Rome, GA. She has also obtained two certifications from HFMA, a Certified Patient Accounts Representative (CPAR) and a Certified Healthcare Finance Professional (CHFP). Cynamin is a GA HFMA past president where she served as president in 2012-2013. She began the officer rotation path to becoming a GA HFMA president in 2008. Prior to the officer rotation, she served and chaired several committees within GA HFMA. Cynamin is a recipient of several awards from Georgia HFMA, including two President’s Awards and the Distinguished Service Award. She has also achieved National HFMA’s Bronze, Silver, and Gold Founders Award. In addition to being a GA HFMA past president, Cynamin served as president for the Georgia Access Management Association (GAMA) during 2002-2004. In 2010, Cynamin became the recipient of the Marian Blankenship Distinguished Service Award from the National Association of Healthcare Access Management (NAHAM). Patty, Sr. Vice President and CIO for Gwinnett Health System is a leader in healthcare information technology with more than 25 years of experience in the industry. 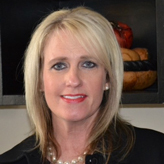 She has served as Chief Information Officer for several regional health systems in Georgia and as an interim in New Jersey, developing each organization’s IT strategy and implementing operational improvements and technology-related regulatory compliance policies. She has maintained memberships and industry involvement in national organizations, such as VHA, HIMSS, ACHE and CHIME. Patty holds an MBA from Florida State University, is a Fellow with the American College of Healthcare Executives and is a CHIME Certified Healthcare Chief Information Officer. She currently sits on the Board for the Georgia Chapter of HIMSS and the Advisory Board for Gwinnett Tech’s HIT Program. 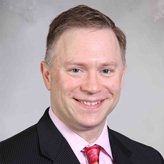 Jason Lesandrini, PhD(c) is Assistant Vice President of Ethics, Advance Care Planning and Spiritual Health at WellStar Health System. Jason has worked at numerous health institutions including Grady Health System, Veterans Health Administration and St. Johns Mercy in St. Louis, MO. 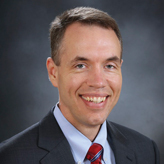 He has served as the ethicist for the Mass Fatality planning commission for the State of Georgia and currently holds a faculty appointment in the Physician’s Assistant program at Mercer University. Jason is an experienced speaker, having done numerous workshops and presentations across the country. His soon to be Doctorate in Health Care Ethics will be from St. Louis University. 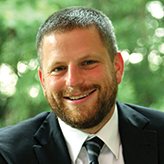 He holds a Master’s in Philosophy specializing in Applied Ethics from Georgia State. 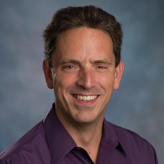 His research interests include decision making for incapacitated patients, ethics at the end-of-life, health care resource allocation, and the work of ethics resources in clinical and organizational ethics. Jamie has worked for Gwinnett Hospital System for 23 years. She started her career in Patient Access, working part time in the ED on the week-ends. Jamie transitioned into full time status within 2 years, and has worked in Patient Access for a total of 5 years. Jamie is currently the Interim Director for Patient Accounts, Preauthorization, Imaging and Surgery Scheduling, Reporting Analytics, and Financial Advocacy. I serve on various teams within the Revenue Cycle ensuring denials are kept at a minimum, AR is stable, and billing is compliant. John Lloyd is Chief Operating Officer for RMB – Rubin & Raine where he is responsible for the daily operations including revenue cycle, human resources, client relations, and legal. 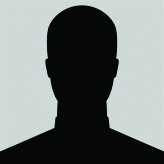 Prior to joining the company in 2013 he was with IASIS Healthcare in Franklin, TN. He has over twenty years of experience in revenue cycle management ranging from multi-specialty physician groups to acute care facilities. John is a member of the Georgia Chapter of the Healthcare Financial Management Association and attended the University of Tennessee, Knoxville. He is currently certified through HFMA as a Certified Healthcare Financial Professional. Michelle develops and implements infection control policies designed to reduce or eliminate infections. She is responsible for facility-wide infection prevention and control measures to protect patients, staff and visitors as well as investigations for known or suspected sources of infections to determine the source and ensure control. 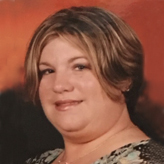 Mrs. McMickin has 17 years’ experience in Emergency Management and as an ER nurse/Clinical Coordinator and transitioned into Infection Prevention in 2017. She received her Associates of Science in Nursing degree from Darton College, BS in Nursing from Columbus State College, and Master of Science in Nursing from Columbus State University. She is a member of American Nurses Association, Georgia Infection Prevention Network, and Association for Professionals in Infection Control and Epidemiology. Theresa Meadows, MS, RN, CHCIO, FHIMSS is the Senior Vice President and Chief Information Officer for Cook Children’s Health Care System. Cook Children’s Health Care System, based in Fort Worth, TX, is a national award-winning, not-for-profit, integrated pediatric health care system comprised of nine companies. She leads a team of 200 members covering areas such as infrastructure, applications, telecommunications, and program management. The IS team currently supports 140 project initiatives that include deploying business intelligence, advanced clinical systems, and enterprise resource management. Ms. Meadows has led the organization through extensive improvements and modernization. In 2012, the organization received recognition as one of the “Most Improved Hospitals” as part of the Healthcare’s Most Wired™ award program and recognized as one of the “Information Week 500 innovators.” In 2013 and 2014, Cook Children’s received Healthcare’s Most Wired™ designation. Cook Children’s was recognized by Computerworld’s Honors program for their state-of-the-art distributed antenna system implementation. In addition, Ms. Meadows was also named one of Computerworld’s “Premier 100 IT Leaders” for 2013. Ms. Meadows’ department has been recognized as one of the “Best Hospital IT Departments to Work” by Healthcare IT News in 2013. Ms. Meadows has 20 years of experience leading efforts for incorporating information systems as a mechanism for facilitating process improvement and efficiency. 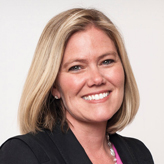 Prior to joining Cook, Theresa was a Director for Ascension Health Information Services. In that role she leads the strategic direction for clinical information solutions that cross care settings for 10 facilities within Ascension Health. Ms. Meadows currently serves on the NetApp Healthcare Advisory Board and is a member of the McKesson Innovation Leadership Council. She served as chair for the North Texas Healthcare Information and Quality Collaborative (NTHIQC). Ms. Meadows has published several articles and her organization was the first to participate in the College of Healthcare Information Management Executives (CHIME) case study publications on their successful implementation of bar-coded medication verification. 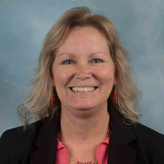 Ms. Meadows has a master’s degree in healthcare informatics from the University of Alabama at Birmingham; a bachelor’s degree in nursing from the University of Alabama at Birmingham. She is an active member of the Children’s Hospital Association CIO Council; is a Fellow in the Healthcare Information and Management Systems Society (HIMSS); is a Fellow in the American College of Healthcare Executives (ACHE) and is an active member of the CHIME. Ms. Meadows is a graduate of the CHIME Healthcare CIO Boot Camp™ and is a credentialed by CHIME as a Certified Healthcare CIO (CHCIO). As a nurse, I have extensive experience in Critical Care. As an Informatics Nurse Specialist, I have CPHIMS certification and have worked in both the US and Canada providing Consulting services and Informatics expertise in the clinical arena. I have contracted to multiple organizations both large and small, providing leadership and consulting services to assist in the development, implementation, and evaluation of Health Information Systems and Electronic Health Records. I am an expert in HIPAA, Meaningful Use and the HITECH act for Healthcare Information Systems, and currently work as the Program Coordinator for the Nursing Leadership in Healthcare Innovations Master’s Degree track at Georgia State University. I am attending Augusta University to obtain my PhD in Nursing with an Informatics focus. 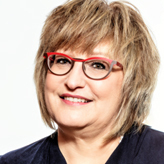 Mindy Oberg is a subject matter expert in enterprise-wide program management services, including physician and operational workflows with in-depth expertise in healthcare information technology. Mindy has worked alongside senior executives, physicians and hospital leadership as a liaison with information technology professionals to ensure increased value from all healthcare technology initiatives with multiple electronic health records and practice management vendors. Mindy’s experience includes new programs, system implementations, upgrades or optimization initiatives. Mindy is experienced in leadership, information technology, management, clinical and business operations from both the hospital and clinic settings. Ms. Oberg is a results-driven professional with 20 years of experience focused on provider and user adoption, usability, clinical documentation, revenue cycle, integration, analytics, population health, engagement, and patient experience. 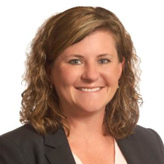 Ms. Oberg is well-versed in industry trends, growth and business development, skills and abilities related to consulting, strategy, assessments, system support, and implementation. She helps teams incorporate and hard-wire best-practices into their clinical and revenue cycle operations, based off of lean six-sigma principles. Prior to healthcare, Mindy spent 5 years in the banking industry, working in management while attending undergraduate studies at Georgia State University. She earned a Bachelor of Arts in sociology in March 1998 and received her Master’s in Business Administration and Masters in Healthcare Administration in December 2014 from Georgia State University in Atlanta, Georgia. Senior Vice President of Trust Operations | Health Cooperative Strategies. Mr. Oliver has been recognized as a healthcare policy leader. He has made hundreds of presentations and speeches on a broad range of health, healthcare financing and health insurance, healthcare reform and transformational solutions to various healthcare issues. He is a healthcare thought leader who has worked with governors, Members of Congress, state legislators and national leaders on innovative healthcare solutions. He is the Senior Vice President of Trust Operations at Health Cooperative Strategies which helps professional and trade associations build, manage and grow association health plans. 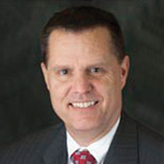 Prior to joining HCS, Wayne was Vice President of Jackson Healthcare, the one of the nation’s largest physician and healthcare staffing companies. Before joining Jackson Healthcare, Wayne was a Vice President at the Center for Health Transformation (CHT), which was a healthcare think tank founded by former U.S. Speaker of the House Newt Gingrich. Prior to CHT, Wayne was the lead lobbyist and chief spokesperson for the Georgia Pharmacy Association (GPhA), a position he has held for 19 years. He is a prolific writer, publishing hundreds of articles on a host of issues, including health information technology, health insurance, rural health care, telehealth, professional liability, preventative medicine and disease management, health care reform, Medicaid, Medicare and health care financing. He has been published in the Wall Street Journal, Philadelphia Inquirer, Chicago Tribune, Washington Post, Atlanta Journal-Constitution, Politico, Memphis Commercial Appeal, Kansas City Star, and many other publications. 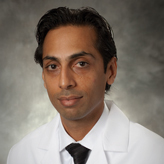 Chirag Patel, M.D., is an internal medicine and pulmonary medicine physician. He currently practices at WellStar Pulmonary Medicine as a member of the WellStar Medical Group. In addition to his medical practice, Dr. Patel serves in a multitude of leadership roles across the organization, which include Medical Director for WellStar Clinical Partners (WCP), WellStar’s more than1,700-member clinically integrated network, and Medical Director for the WellStar Health Network, WellStar’s Accountable Care Organization (recently named a Becker’s Hospital Review ‘ACO to Know’). He also serves as Medical Director for the WellStar Comprehensive Care Clinic, of which he spearheaded planning, development and opening the clinic in 2015. WellStar Health System, the largest health system in Georgia, is known nationally for its innovative care models, focused on improving quality and access to healthcare. WellStar consists of WellStar Medical Group, 240 medical office locations, outpatient centers, health parks, a pediatric center, nursing centers, hospice, homecare, as well as 11 inpatient hospitals: WellStar Atlanta Medical Center, WellStar Atlanta Medical Center South, WellStar Kennestone Regional Medical Center (anchored by WellStar Kennestone Hospital), WellStar West Georgia Medical Center, and WellStar Cobb, Douglas, North Fulton, Paulding, Spalding Regional, Sylvan Grove and Windy Hill hospitals. Dr. Patel has more than 17 years of healthcare experience and has served in leadership roles over Population Health, Clinical Integration, and Quality and Case Management in both inpatient and outpatient settings. Over his career, he has directly led many programs leading to improved quality outcomes for patients, these roles including System Readmission Physician Lead, Chair of the Hospital Quality and Efficiency Program Task Force, Co-Chair of the Quality Committee, and Physician Champion for the COPD Collaborative, Post-Op Respiratory Failure and Diabetes Value Stream. He joined WellStar Health System from Southern Regional Medical Center. Dr. Patel received his medical degree from the Universidad de Iberoamericana and he completed his residency and fellowship at the University Health Systems of Eastern Carolina, Pitt County Memorial Hospital in Greenville, N.C. He is a member of American College of Physicians, American Medical Association, American College of Chest Physicians, American Thoracic Society, International Association for Lung Cancer Study and Society of Critical Care Medicine. He is fluent in Spanish. Glenn Pearson worked in the hospital industry for more than 30 years and now, as Principal of Pearson Health Tech Insights, LLC (PHTI), applies his vast experience to help the healthcare industry fully embrace technology’s role in transforming healthcare. PHTI assists developers/entrepreneurs/vendors, hospitals and other provider groups, and investors. 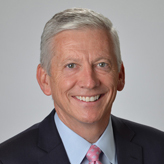 Glenn is a recognized national healthcare leader, having served on six committees for the American College of Healthcare Executives (ACHE) and as elected ACHE Regent for Georgia. He has also led and/or served on many national and statewide committees and organizations. 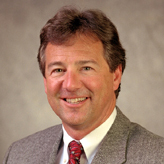 Dr. Jim Sams serves as the CEO of Privia Medical Group – Georgia. Dr. Sams has experienced all sides of the medical practice from small group, to multi-specialty, to employment with large hospitals. His understanding of what physician autonomy means for the future of healthcare is why Dr. Sams works to empower independent physician practices to remain independent, achieve Triple Aim goals, and be rewarded for the value they create. Prior to joining Privia, Dr. Sams was a practicing Internal Medicine physician, CMO and Chairman of the Board of the Piedmont Clinic, a subsidiary of Atlanta-based Piedmont Healthcare. He worked as CMO and Chairman of the Board of the Piedmont’s 1,100 physician IPA and served as co-medical director of its provider sponsored health plan. Dr. Sams oversaw the Patient-Centered Medical Home recognition of Piedmont physician group, launched a national payer’s Collaborative Accountable Care model, and served as Chief Medical Officer for Piedmont Healthcare’s Southern region which included Piedmont Newnan Hospital, Piedmont Fayette Hospital, and Piedmont Henry Hospital. Dr. Sams was a founding member and board chair of Fayette Medical Clinic, the first primary care based multi-specialty group in Fayette county. The group provided the first diagnostic center and other hospital grade services in the largest county in the state, without its own hospital. Dr. Sams was also a chairman of the board of Sentinel Health Partners, a physician company engaged in global risk Medicare contracting from 1999 to 2001. Dr. Sams earned a BS from Southwestern at Memphis, his MD for Emory University School of Medicine, completed his residency in Internal Medicine at the Medical University of South Carolina and garnered an MS in Organizational Leadership from Mercer University. 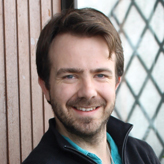 Tim Seguy – #geek, #advisor, #strategist, #solutionist, #optimizer, #healthcare, #coffee drinker. 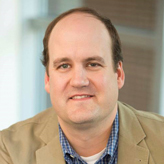 With over 20 years of diverse Healthcare Information Technology leadership and business experience – Tim’s background includes product management, solution engineering, professional services, regulatory and cybersecurity, sales, and operations management. In addition to serving as an advisor to academic and regional medical center clients, his career has included tenures with McKesson Corporation, GE Medical Systems, and REACH Health. Tim’s proudest accomplishment includes being dad to two incredible kids. An avid outdoorsman, Tim recently scaled Mt. Rainier in Washington and hiked the Teton Crest Trail. Dr. Slappy brings a unique experience set in engineering, information technology, healthcare operations, and clinical practice. He has spent his career acquiring knowledge and practical experience across the healthcare industry. He has a Bachelor and Master of Science in Electrical Engineering from the Georgia Institute of Technology. Through his work at Georgia Tech Research Institute he was involved in project management, systems integration, and design and programming of custom microwave and computer hardware systems. All of his work was fielded in an operational environment. Subsequently he received his Doctor of Medicine at Emory University School of Medicine and went on the train at the Mayo Clinic in General Surgery. While in medical school he was in the United States Navy where he achieved the rank of Lieutenant Commander and served as Officer In Charge of a Shipboard Surgical Team deployed in support of Operation Enduring Freedom. He became Chief of Staff while at Naval Health Clinic Charleston, SC. 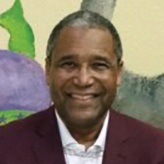 He has also been in private practice where he served on the executive committee of the medical staff, and currently is an Assistant Professor of Surgery at Emory University and Associate Chief of Surgery, Chief of General Surgery, and Chair of the Informatics Interest Group at the Veterans Administration Medical Center in Atlanta, GA. He has in-depth experience in hospital and healthcare systems operations through work in revenue cycle management, utilization management, claims adjudication, and OR optimization. He has worked extensively with several different EMR and corporate data warehouse implementations to configure standard order set and workflows, compliance with government and credentialing mandates, and predictive analytics for clinic and OR optimization. research of its type in the US healthcare industry. Dr. Snead has served as an adjunct Professor in the Health Sciences Administration program at The University of Alabama at Birmingham teaching advanced healthcare finance in the Residential Master of Health Administration program. He is currently serving as Recurrent Faculty for the Health Sciences Administration Department of Texas Tech University. Previously, Dr. Snead served as Adjunct Faculty to the University of North Carolina. finance, strategy and operations. 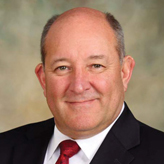 His recent experience has been with Galloway Consulting in Atlanta and as the Interim Chief Executive Officer of Grant Memorial Hospital in Petersburg, WV. Dr. Snead is Fellowship Certified by both the Healthcare Financial Management Association where he has served as Chairman of HFMA’s Board of Examiners and the American College of Healthcare Executives. 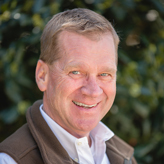 He is the founder and facilitator of the Georgia CFO Networking Group, a peer education and networking group comprised of Georgia’s largest voluntary hospitals. Dr. Snead is the author of a blog on Interim Executive Services, leadership and cultural change. The blog is located at: www.interimcfo.wordpress.com. Dr. Snead resides in Marietta, GA. He is recently celebrated his forty-third wedding anniversary. He is the father of two grown children and two grandchildren. Keith P. Thompson is an internationally recognized ophthalmologist, refractive surgeon and an expert in physiological optics. He was a member of the cornea faculty at the Emory Eye Center from 1991-2004 where he was Associate Professor of Ophthalmology at the Emory University School of Medicine and head of the EmoryVision Center that he co-founded in 1993. Dr. Thompson has published over 60 peer-reviewed articles and abstracts, has been issued ten patents on ophthalmic technologies, and has lectured at scientific meetings throughout North and South America, Europe, Asia, and the Middle East. 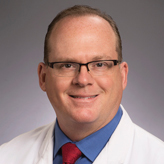 Dr. Thompson is a past member of the Board of Directors of the International Society of Refractive Surgery and a past member of the Editorial Board of the Journal of Refractive and Corneal Surgery. He has been elected a Member of the Alpha Omega Alpha Honor Society, a Diplomat of the American Board of Ophthalmology, and a Fellow of the American Academy of Ophthalmology. Dr. Thompson is a successful VC-backed entrepreneur who developed one of the first laser vision centers in the United States, established a referral network throughout the Southeast and achieved a profitable exit for Noro-Mosely Partners, an Atlanta VC firm. Thompson subsequently co-founded TeleSpecialty Health, LLC with biomedical engineer Jose Garcia who led the development of the technology in Georgia Tech’s VentureLab program. 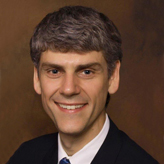 Dr. Vermeer is the Chief Medical Informatics Officer for the Gwinnett Medical Center in Georgia, as well as a practicing Emergency Medicine physician. He received his MD and MBA from the University of Chicago, and completed his residency training in Emergency Medicine at Emory University. He is also Board Certified in Clinical Informatics. 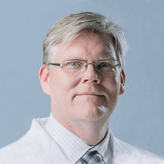 After residency, Dr. Vermeer joined the faculty of the Emory University Department of Emergency Medicine. While at Emory, he took on the role of Director of Clinical IT Systems for the Grady Health System, and subsequently became Grady’s first CMIO. Since joining the medical staff of Gwinnett Medical Center in 2009, Dr. Vermeer has been instrumental advancing the implementation, utilization, and adoption of multiple Health IT initiatives. As CMIO, he both advocates for patient and provider needs, and fosters physician engagement in HIT initiatives. 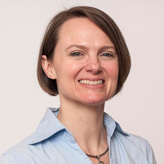 Cynthia Ward is a lead research biologist with the Centers for Disease Control and Prevention in Atlanta, GA. In this role, she is involved in the planning, implementation, oversight, and completion of programs related to public health that involve metallic elements or their isotopes. Ms. Ward has over 21 years of analytical experience related to the analysis of metals with 14 of those years spent at the CDC. Prior to working at the CDC, Ms. Ward held supervisory and non-supervisory private sector analytical chemistry positions in the industrial hygiene and environmental fields. Ms. Ward obtained a Bachelor of Science degree with a major in biology and a minor in chemistry from Georgia College. She obtained a Master of Public Administration degree from Georgia College and State University and both Master of Science in Healthcare Management and Master of Business Administration degrees from Mercer University. 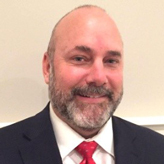 Darryl Ward is a technology professional with more than 25 years of experience managing the acquisition, implementation, remediation, and optimization of enterprise solutions. His experience spans the healthcare delivery system with specific focus in Revenue Cycle Management. Darryl enjoyed 24 years at Gwinnett Health System in both Revenue Management and IT roles before joining Himformatics as a consultant in 2014. 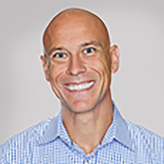 His personal challenge is navigating the complexities of the healthcare ecosystem to help his clients realize the value of their technology investments to improve the bottom line, organizational operations, and the patient experience. Outside of work, Darryl enjoys spending time with his family, RV travel, outdoor sports, and learning new skills such as building electronic projects for home automation and practical applications. Dr. White, founder of Whites Pediatrics, is a Board Certified Pediatrician who has been practicing medicine in Dalton since 1981. He is a graduate of Loma Linda School of Medicine in Loma Linda, California. He has served on several local boards & committees, including Hamilton Medical Center’s Board of Trustees. 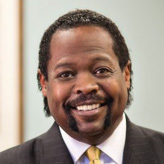 Dr. White is currently on the Board of Trustees for Southern Adventist University in Collegedale, Tennessee and is a board member for the Georgia Health Information Network. Dr. White and his wife Clara have two sons and four grandchildren. He enjoys playing golf when he is not seeing patients. Baha Zeidan is founder and CEO of Azalea Health, changing the way health IT platforms connect community-based healthcare providers and patients across the lifecycle of care. His unmatched commitment to improving healthcare experiences and outcomes for both providers and patients drives the corporate vision and strategic direction for the organization.